“Hustler” Bill Veeck was a baseball executive and principal owner of a number of major league baseball franchises, and was inducted into the Baseball Hall of Fame. Veeck in his inamiable way convinced the Internal Revenue Service that professional athletes like baseball players, waste away after they enter into their professional contracts. In essence, Veeck convinced the IRS that a sports team roster like an office copy machine or a piece of real estate is a depreciable asset. The IRS bought his argument and permitted a depreciation deduction regarding the acquisition of a team known as the Roster Depreciation Allowance (“RDA”). The RDA permitted a team to deduct a player’s contract not only as a depreciating asset (amortization), but also as a current business expense – a form of double deduction accounting. I.e. – players’ compensation is carried in the expense column and also subtracted from net operating income on an amortized basis. 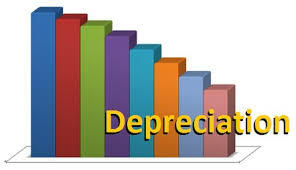 Under the RDA from 1977-2004, owners could allocate up to fifty percent (50%) of the purchase prices to player’s contract as a depreciable asset over a five year period, i.e. – the 50/5 rule. Allocations issues and tax challenges characterized the era of the 50/5 rule, and a new law in 2004 simplified the process and brought the sports industry in line with the rest of the business world. Under the American Job Creation Act of 2004, sports owners could depreciate all tangible property acquired in connection with the franchise under IRS Section 168 and amortize all intangible assets such as players’ contracts, sponsorship agreements, luxury suite contracts, and various other intangibles – including the franchise itself – over a fifteen year period under IRS Section 197. The deduction may be claimed in whatever amounts and in whatever schedule that is elected by the taxpayer over the 15 year amortization period. For example, the Golden State Warriors were purchased in 2010 for $450 million. That purchase price can be amortized over 15 years and produce at a marginal 35% tax rate, tax savings of approximately $157,500,000 over the 15 year period. If the sports enterprise was profitable then amortization could be used to offset income. In the alternative, if the sports enterprise wasn’t profitable, the losses could be used by an individual, partnership, or S corporation against the individual’s other 1040 income. The change in laws is another windfall for sports franchise owners, which simply allows them now to amortize the full purchase price of their team. The ability to amortize the franchise is one of the most advantageous tax aspects of owning a professional franchise and attracts high income individuals and companies because of the tax shelter aspects of the business. The tax sheltering effects are clearly apparent in reviewing the consolidated statements of operations for the Brooklyn Basketball, LLC, owner of the Brooklyn Nets. Taking the fiscal year of 2006, not only are the players’ salaries totaling $58,896,983.00 deducted from income, but also “depreciation and amortization” are deducted in the amount of $41,032,427.00. The consolidated statements represents an actual cash loss of $27,075,307 (operating loss of $14,439,939 and interest expense of $12,635,368), but a total loss of $68,107,734. At a marginal tax rate of 35%, that constitutes $23,837,706 in tax savings. The favorable tax treatment given to sports franchises is a huge boon to sports owners, adding value to sports franchises.